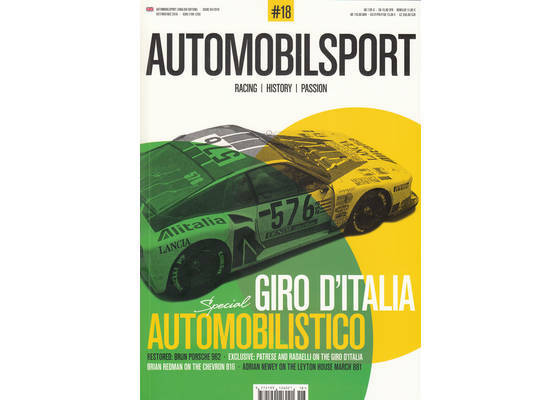 The product "Automobilsport Magazine #18 English version Giro d'Italia Automobilistico" was successfully added to your wishlist. English Version. 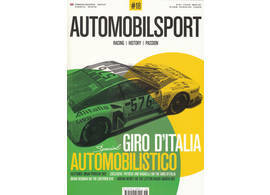 18th edition of the quarterly motorsports magazine for the history of motor racing. 144 pages, more than 300 photos, English text. This edition contains e.g. : Giro d'Italia Automobilistico, Opel GT Conrero Gr.4, F1 GP Monaco Historique, Brian Redman Chevron B16, Leyton House F1, Brun-Porsche 962-003 BM and many other interesting categories.